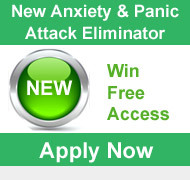 Make Anxiety a thing of the past! Leave your fears behind and reach your true potential, using the most up to date technology available. Simple and effective, our anxiety treatment methods have been proven time and again to give our clients the confidence to leave anxiety behind and face the future with hope and joy. We do not prescribe or use any form of medication. Our therapies are a blend of the most effective natural and non-invasive methods on the planet, you might even have seen them on TV recently, being featured on both Sky and terrestrial channels as a solution to anxiety and agoraphobia. In the past, access to these systems was the privilege of the wealthy (the methods we use were closely guarded secrets when they were first discovered). Film stars and celebrities have been able to access this technology for years and have paid massive amounts of money to rid themselves of panic and anxiety. Thanks to the increased media coverage, anxiety treatment techniques which work like magic, are now more widely available and for a fraction of the cost. We are Europe’s leading experts in using these modern methods for the treatment of anxiety, panic attacks, and agoraphobia. Check out these case studies and see for yourself! You have already taken the first major step in getting relief, simply by visiting this site! Admitting to yourself that you need help, then taking action by looking for it is a massive stride in the right direction and often the hardest part of getting better. 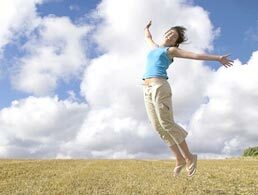 Contact us in complete confidence to discuss more detail of how our anxiety treatment can help you.